myblu™ Mango Apricot Liquidpods deliver a little taste of paradise direct to your myblu Starter Kit. 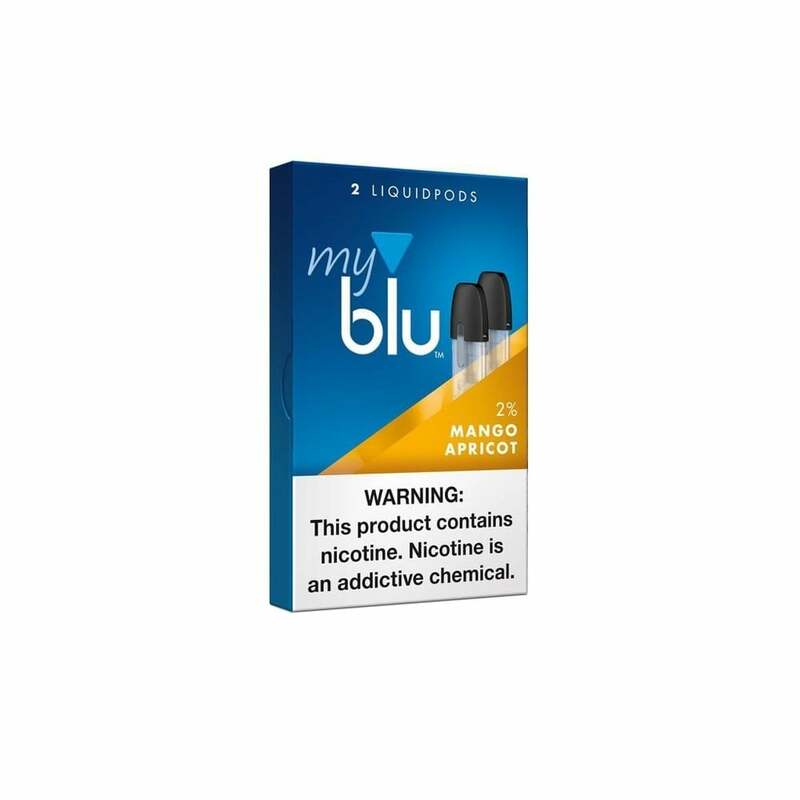 Full of tangy mango and juicy apricot flavor, myblu Mango Apricot Liquidpods are perfect for fruit vape fans looking for something a little bit different. myblu™ Liquidpods are easy to replace: simply pop out your finished pod and click in a new one and you’re ready to vape! These myblu™ Liquidpods have a 1.5ml vape juice capacity and come in 20mg (2%) nicotine. Their organic cotton wick gives you outstanding flavor and satisfying vapor production. Please don't ever discontinue them. The other flavors are too harsh for me. Of all of blus flavors this is my favorite. I have ordered it repeatedly. Not their best flavor, but definitely rivals Juul's mango. Faulty pods. Leaked badly into my mouth. The pods did not last long and they leaked a lot. It was alright. Not my favorite, but not bad. Arrived with about 20% of the juice already leaked out... aside from that taste was just okay. Liquid was a little too thick, mucho bubbles collecting around the wick resulting in lots of nasty dry hits. Probably the best blu flavor. Juul Mango is better. The mango apricot was my favorite My Von Erl flavor and I was concerned that myblu would discontinue it. So when myblu had their own version, I had to try it. I compared the two side by side and from what I can tell, they're close but the myblu here is a little sweeter and has slightly less of the apricot flavor. Regardless, I'm still thrilled mango apricot hasn't gone the way of the dodo during My Von Erl's rebranding and I would definitely buy mango apricot again. I was most excited for this flavor and it really is great.